Due to temporary greens in play at Prestwick St Nicholas, the final of the Winter Foursomes was moved to Kilmarnock Barassie today. 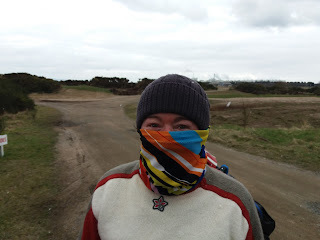 It was a dry but extremely cold day with everyone well wrapped up against the elements! 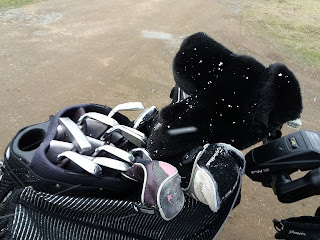 We even had some flurries of snow! Secretary Ann, happy to rake the bunker to generate some heat! 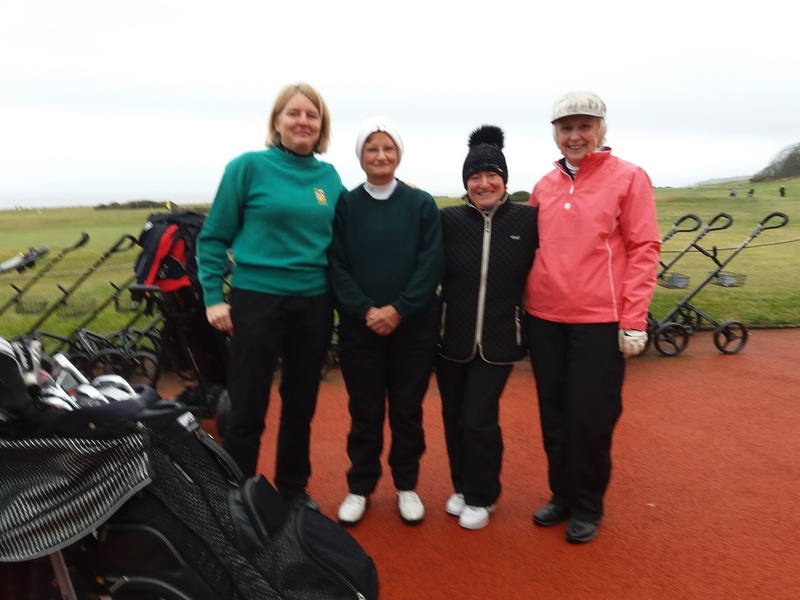 Delighted to see our Honorary President, Nancy Chisholm, brave the elements to come and support the finalists. To the match itself, Helen and Irene got off to a flying start with a great putt to win the first hole. However, the Loudoun pair of Sheila and Aileen hit some great form, including a birdie at the Railway hole, to end the front nine 4 up! 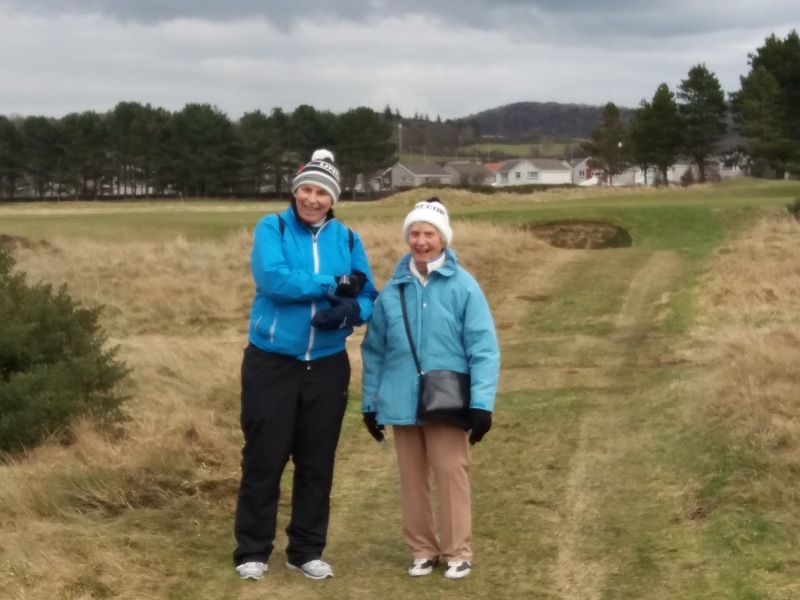 They stretched their lead to 5 after the 11th but a fantastic fight back from Helen and Irene, winning 5 of the next 6 holes took them to the 18th all square. Extra holes looked on the cards but a 2 putt from long range was good enough for Sheila and Aileen to win by one hole. 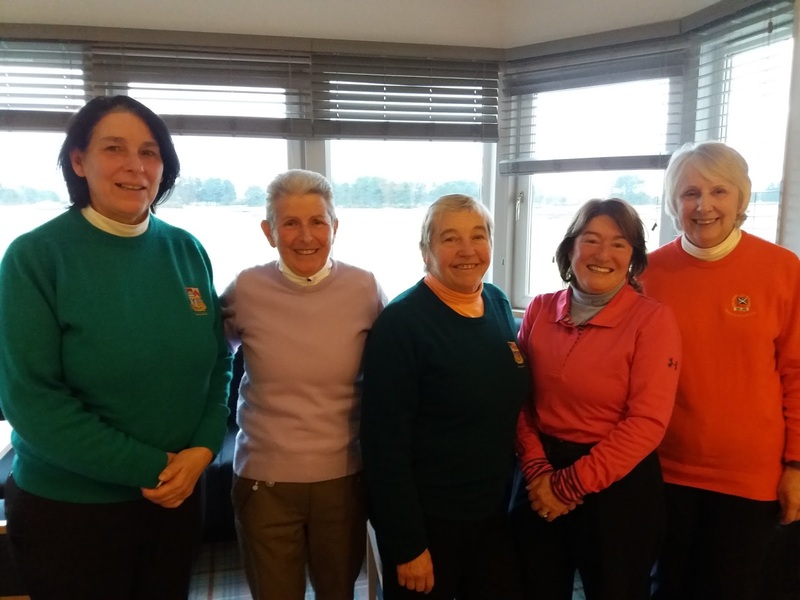 Well done ladies, a great match in difficult conditions. Congratulations Sheila and Aileen. 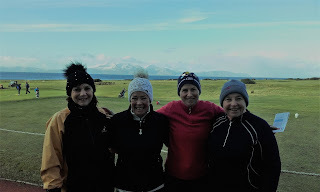 West Kilbride was the venue again for the second semi final of this years Winter Foursomes. A pretty decent day considering the recent spell of winter weather! A very close game with home player Helen Craig, partnered by Skelmorlie member Irene Papworth, winning at the 17th hole against Ann Wallace and Moyra Withycombe from Prestwick St Nicholas. 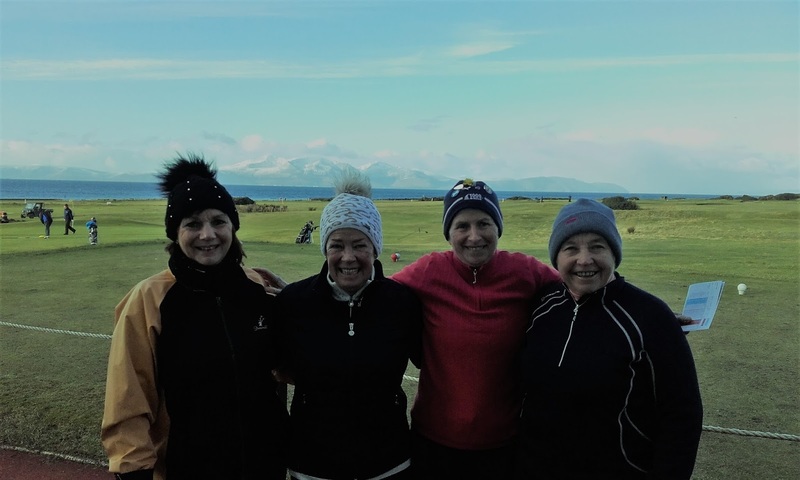 The first of the Winter Foursomes semi-finals took place today at a very cold, but dry, West Kilbride. The winners were Sheila Adams and Aileen Anderson (Loudoun) well done girls.